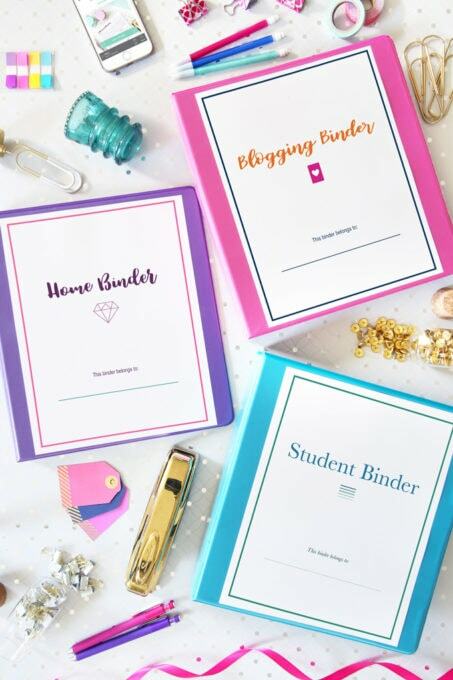 If I had to choose one aspect of blogging that has had the biggest impact on our ability to turn our blog into our full-time business, eBooks would be it. eBooks are the thing that took a little hobby blog that I started on a whim and showed us all it could be capable of. I know that sounds awfully dramatic to say about a little PDF file, but it’s true. eBooks were a complete game changer for us. If you’d like to read our whole eBook story, you can do so here. 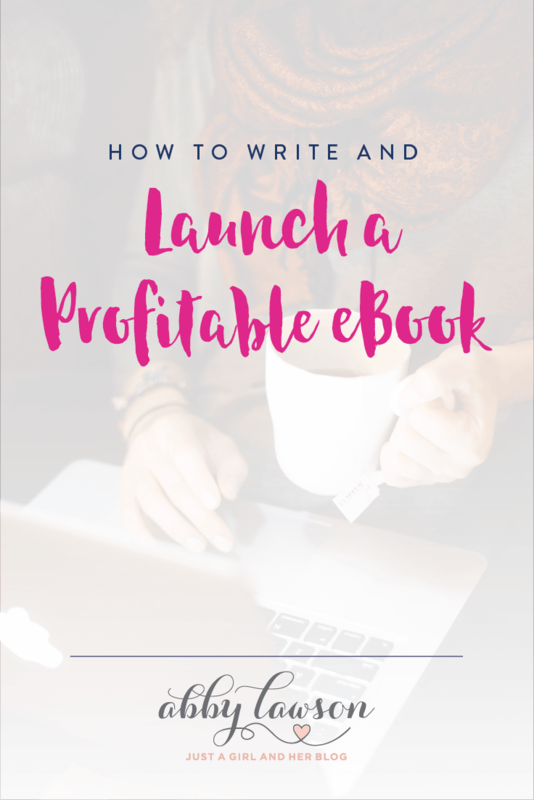 Today, though, I wanted to share a rundown of the process that we go to when we write and launch a profitable eBook, just in case any of you were planning on taking the plunge as well! Why create and sell a digital product? Before we talk about eBooks specifically, I want to talk about why creating and selling your own digital products is such a good idea. Many bloggers get into the “ads and affiliate income” zone, but never take the next step and create a product of their own. Ads and affiliate income typically follow a somewhat linear path — as traffic increases so does your ad revenue and affiliate income on almost a 1:1 level. 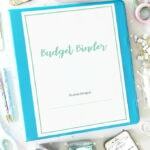 If a blogger is optimized for ad revenue and has worked hard to add relevant affiliate links to their best posts, it’s fairly easy to predict their income based on their monthly pageviews. You’re very dependent on those pageviews. The fact of the matter is that some blogs simply don’t have the same traffic as others. This doesn’t mean that the smaller blog has a less loyal and dedicated audience… maybe their niche just doesn’t generate the same type of traffic as another niche. With digital products it’s not really about the traffic. It’s about so much more than that. It’s about how loyal your audience is, how well you are able to serve them by solving a problem, the quality of your digital product, and the marketing plan you use to get the word out. Those are all variables you control in a much more direct manner than traffic! Sure, traffic can act as a multiplier for these factors, but it’s not just about traffic. This is an incredible opportunity for those that are willing to work hard and pay attention. Now that you understand the advantage of creating and selling your own digital products, you may be wondering why we are talking so much about eBooks. Digital products include things like software, plugins, email courses, video courses, membership sites, printables, eBooks, and many more. 1. eBooks give you the best chance of following through and actually finishing a product and offering it for sale. Courses and video are great, but they also bring additional technical challenges, equipment needs, and more complicated hosting requirements. Starting with an eBook can give you that first “win” before you move into more complicated products. 2. eBooks are the most affordable of the digital products for your readers. 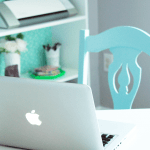 If you blog for free for years and then all of the sudden offer a $200 course, your readers may be blindsided and unready to fork over that amount of money. Starting with a much lower priced eBook will help build a group of highly-satisfied customers. That first sale is the hardest to make and oftentimes, eBooks are a no brainer purchase. 3. eBooks help you refine your sales and marketing process. Since eBooks are one of the smaller products you can create, it is totally feasible to spend time developing quality content while at the same time creating and implementing an effective marketing plan. Starting off simply with an eBook gives you time to hone your launch plan and learn what works for your audience before you move on to larger and more complex projects. 4. eBooks help you create large customer base. I disagree with the idea that it’s more advantageous to have 10 customers for a $1,000 product than 400 customers for a $25 product. I’ll take the 400 customers any day! When a person has bought from you once, they are very likely to buy from you again if you’ve “wow-ed” them with your product. Those 400 customers are very likely to buy your next (more expensive) product. It’s not a one time deal. You want to create customers for life. It’s tempting to think about a complicated and expensive video course for your first product, but an eBook will allow you to keep it simple. You need a quick win, and you can get that from an eBook more than any other digital product. Going through and learning from your first launch will help you lead into bigger and better things for your business. What should I write an eBook about? This seems to be the million dollar question! 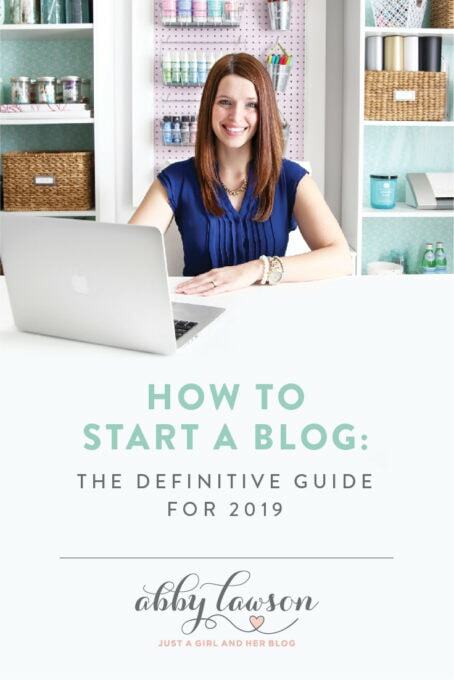 I’ve talked to a few bloggers who know exactly what they want to write about right away, but for most of us, coming up with the perfect eBook topic can be a challenge. What questions do your readers ask over and over, whether via email, comments, or on social media? Or what topics do people in “real life” come to you for to get advice? If people are consistently coming to you to ask questions or get advice on a particular topic, that could be the perfect thing to write about in your eBook. What are your most popular posts? Go into your Google Analytics and look at your top 20-30 blog posts. Do you see any recurring trends? If one type of post seems to make it to the top every time, that could be your winning eBook topic. Take a reader survey. I’ve done this several times using a simple Google Form. You can get demographic information from your readers and ask about what they come to your blog for, but don’t forget to include this question, “What is one area of your life where you have the greatest need right now?” I took a course on Fizzle.co that recommended asking that question in surveys, and it is by far the most helpful question for determining what my readers want, both in terms of blog content and eBook topics. Do you have a method or strategy for doing something that is really effective + unique? Think of things you do even day to day. Many times we don’t realize how much we know. Something that seems second nature to you is someone else’s area of weakness, and you can help them with that area in an eBook. What are you super passionate about? Maybe there’s a hobby or skill that you have kept coming back to again and again since childhood. If you had an entire day with no responsibilities, how would you spend your time? 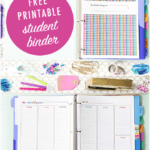 I started making study aid-type printables and diagrams in middle school– maybe even elementary school. 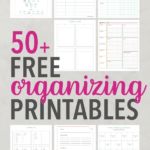 Organization, particularly organizing information, has always been my “thing,” and that turned into an eBook of organizational printables for me. If you can’t think of any quirky little things that you’ve just “always done” since you were a kid, ask your mom (or dad or grandma or whomever). They will probably be able to think of a few right off the bat. These types of things that are ingrained in who you are can often become awesome fodder for an eBook. Now that you have an idea, it’s time to get planning and get started. I know it’s tempting to make your idea a “someday maybe” thing, but I’ve noticed that if people don’t get started right away, it never happens. For planning, Abby and I have found it helpful to work backwards. The first thing we like to do is put our launch day on the calendar. We write that in ink and not pencil! Once you set it, it’s in stone! That’s how you have to think. Usually a “rough idea” for a launch date is a recipe for failure. It’s so easy to find other things to fill your time, and a big project like an eBook will never happen. When choosing a launch date, Abby and I have found that the sweet spot is 60 to 90 days out. Any more than 90 days and there isn’t a sense of urgency. If you schedule a launch day 6 months in the future, most likely you won’t start actually working on anything until a few months out. Shorter than 60 days out is not enough time for most eBook launches. Writing and launching a successful eBook is about a lot more than writing something and putting it up for sale. It takes time to implement a marketing plan and build your launch list. Both of those are hugely important. Your launch plan should include all of the things we’ll talk about in the rest of this post, from planning time to create the content, to building your email list in preparation for launch, to rounding up affiliates to help you, to creating landing pages and email sequences. When we decided to write our first eBook, I kicked off the writing process by escaping to a hotel for a weekend of focused, uninterrupted writing time. I didn’t finish the book in this amount of time (not even close! ), but I was able to knock out a big chunk of it, which made the rest of the process seem a lot less intimidating. To get the rest of the writing finished, Donnie and I agreed that I would wake up early and write every day from 6-7 while he took full responsibility for our two sons. The Cs knew they weren’t allowed to come into mommy’s office when they woke up and needed to ask daddy if they needed help with anything. Donnie was still working a corporate job at this time, so a lot of times that meant he was juggling getting himself ready with making the Cs’ breakfast and helping them get dressed, etc., but he made it work. That writing time was set in stone on the calendar, and the whole family knew to treat it as such. I typically write my eBooks in a Google doc first. This makes it easy to share with Donnie and anyone else that we’re having help to proofread the eBook in advance. It also ensures that if my computer crashes and I lose my hard drive, I still have a copy of the eBook I have been working so hard on! When I’m ready to format my eBook, my favorite program to use is iBooks Author (Mac only). It is free, and they provide many professional-looking templates to choose from. There is a little learning curve when you first begin to format, but once you get the hang of it, it’s not difficult to catch on. When I’m finish formatting my eBook, I can export it as a PDF from iBooks author and upload it to my payment processor to sell on my site. If you’re not a Mac user or prefer not to use iBooks Author, I have also written eBooks in a simple word processing program like Microsoft Word! Formatting your book in Pages or even a Google Doc would also work. As long as the program allows you to save your document as a PDF, you should be good to go. If you go with a word processing program for formatting, be sure to study several other eBooks to see how they’re set up, what the margins are like, how they handle spacing, etc. so that you can get a professional look even if you’re not using a pre-made template. It’s easy to get so caught up with the writing process that pre-launch list building is ignored. Abby and I have found that the number one factor in determining the success of an eBook launch is the size and quality of our email list. You can’t afford to ignore it! Pre-launch list building is something that can be done alongside the writing and planning. The earlier you start building a list of people specifically interested in your book topic, the better. The email addresses you collect will then be used to keep your audience updated during the launch process, build buzz, and ultimately sell your book. For launching a product, email is more effective than all social media efforts combined. It’s not even close! The size of your launch list is important, but you want to make sure you’re getting the right type of subscribers. The best way to do that is to create an opt-in offer or incentive that specifically relates to your eBook topic. For example, Abby and I are launching a course on how to write and launch a profitable eBook. We created a free 5 day email course called Build Your Launch List to start gathering subscribers who are interested specifically in writing and and launching an eBook. It really is that simple! Think about your book topic, and then think about what you can give away that is related. 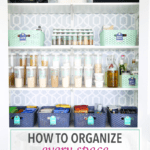 If you’re writing an eBook on organizing small spaces, you could create a free opt-in offer about decluttering your small kitchen. See how they’re related? People interested in decluttering their kitchen would likely be interested in an eBook about organizing small spaces. Building a high-quality launch list also gives you the opportunity to demonstrate value to your readers. If you give away something that’s very helpful for free, how much better will your paid eBook be?! Demonstrating tremendous value for free will do nothing but increase your sales when launch day comes. When building a launch list, you’ll need a way to deliver your opt-in incentive as well as a way to deliver a sequence of emails during your launch. Our email marketing provider of choice is ConvertKit. It makes both of those tasks very simple. Abby and I started with MailChimp, and we are very grateful for their free account up to 2,000 subscribers, but it when it comes time deliver opt-in incentives and create launch sequences, there’s nothing easier than ConvertKit. You can read more about why we switched from MailChimp to ConvertKit in this post. If you want your readers to buy your product, you don’t want to just spring it on them; you have to let them know it’s coming! We usually start building buzz for our eBook launches at least a month ahead of time. We typically kick things off with an announcement in a blog post and to our email list that an eBook is coming. After the announcement has been made, I find ways to work mentions of the upcoming eBook into social media several times per week. I write several posts on the blog that relate to my eBook topic so that I can mention it in the time leading up to launch. 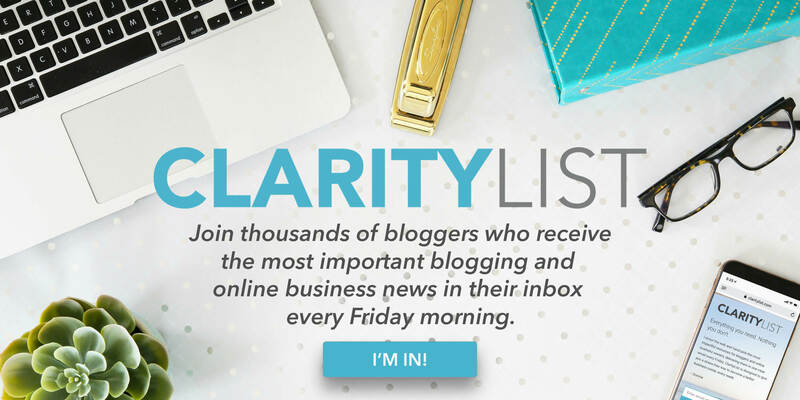 As we mentioned in the last section, your email list will be your biggest asset for building buzz and letting your readers know about your eBook. Along with setting up a freebie to get them to opt in to your list, touch base with them on a regular basis in the weeks leading up to your launch, providing valuable and helpful content related to your topic. You’ll definitely want to make sure you contact your list one week out from launch, the night before launch, and a few times on the day of launch to spread the word. Make sure your readers know that your eBook launch is coming so they’re ready to buy when the time comes! You will need to decide whether or not to include affiliates as part of your launch plan. There is no one “right” way to do it, and there are pros and cons to using them and not using them. If you decide to use affiliates, that means you will have more people out there spreading the word about your launch. Particularly if you can land affiliates with large, dedicated audiences, they will be able to drive a ton of sales your way. If you decide to go the affiliate route, make it as easy as possible for them to share with their readers about your eBook. Provide them with pre-written tweets, pins, Facebook posts, and Instagram posts. Give them images in the correct sizes for all social media platforms. Provide them with email copy that they can tweak and send to their list. The easier you make it for them to share, the more willing they will be to do so. The drawbacks to having affiliates, though, is that you will typically end up giving them 20-50% of the sale price as a commission, which of course cuts down on the money you make from each sale. It also takes more time and effort to communicate with and orchestrate a group of affiliates so that their marketing strategies are effective. Going it alone may save you the work of organizing an affiliate team, and you’ll make 100% on your sales, but you may have a lower number of sales because you were the only one getting the word out. If you decide not to do an affiliate program right away, you can always add them later. After you start making sales and people have read your eBook, they become the perfect people to represent you as affiliates because they can testify to the incredible value they got from your eBook. • Accept both credit cards and PayPal. At one point Abby and I were not able to accept PayPal payments. I think we left some sales on the table because of this. Now we accept both PayPal and credit cards, and sales are usually split 50/50 between the two options. Make sure your payment processing service can accept both. • Modern and easy to use. About 10 years ago there were a lot of new competitors in digital product delivery. A lot of those services haven’t changed at all in the past 10 years, and they now look outdated and are complicated to set up and use. • Integrate with your email marketing service. Whenever someone purchases your eBook, you want to have an easy way to “onboard” the new customer and send them a series of emails. Make sure your shopping cart or payment processing service integrates with your email service. • Zapier integration. Every service can’t integrate directly with every other service. Because of that, Zapier exists. Zapier allows you to “connect and automate the apps you use.” When you can’t get two services to play nicely together, Zapier is usually the perfect “middleman” solution. I’m a huge fan of Zapier. Whenever I consider an online service for anything, I first check to make sure it integrates with Zapier. For selling and delivering digital products, my first choice is Gumroad. A few years ago Gumroad had some major limitations in that they didn’t accept PayPal payments and had no affiliate capabilities. That has all changed. Gumroad now accepts payments via PayPal and has some basic affiliate features. Gumroad also integrates directly with ConvertKit and Zapier. Big plus! 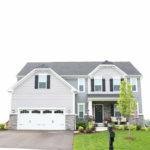 Another option we have experience with is SendOwl. SendOwl is a feature-rich option, but it’s not as easy to use as Gumroad. The affiliate portal is more advanced than Gumroad, but the learning curve and setup time is longer than Gumroad. SendOwl does have Zapier integration, but it doesn’t seem to work correctly all of the time. I get our SendOwl purchasers into Gumroad this way: SendOwl —> MailChimp —> Zapier —> ConvertKit. For MailChimp users, SendOwl could be a great option. For ConvertKit users, Gumroad is the way to go. When creating a landing page it’s important to consider both the visual elements– look, feel, color scheme, layout, and spacing– as well as the sales copy. Oftentimes one of those elements will be ignored. The visual elements will draw the reader in, and the sales copy can help overcome customer objections, even objections they didn’t know they had! It’s an opportunity to connect with your potential customers and speak to them with the terms and language that they already use. The landing page creation starts long before you actually start building it. Keep a notebook or a Google Doc with phrases, objections, sales copy, quotes, and testimonials that you can use on your landing page. Use the “landing page” template that may already be included with your theme. Many Genesis child themes have “landing page” as an option under the page template. This will give you a nice, white, blank slate to use when creating your landing page. You may have to use some custom CSS to exclude ads from your landing page, but the template will not have any header or sidebar elements. If you use this option, you’ll create your page with HTML in the WordPress editor, just like you would for normal posts and pages. 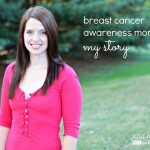 Instapage is the landing page creator that Abby and I use. It’s not a free solution (we pay $69/month), but it allows you to build landing pages from scratch using their drag and drop editor or use and customize one of their existing templates. The Instapage editor allows you to build and test landing pages with no coding knowledge required. Once created, you can publish your page to a URL on your own domain. I know many people use LeadPages for landing pages. LeadPages has some extremely effective list building tools, but when it comes to product and eBook landing pages they fall short. The problem is that their many templates are not completely customizeable. They’ve improved recently with a drag and drop editor, but the options and configurations are still limited. LeadPages is great for a simple webinar signup form or email opt-in incentive, but it’s not a great solution for custom eBook or product landing pages. When considering a landing page creator, make sure you check on email integration options. Here you can see a list of Instapage integrations. You’ll notice that ConvertKit is missing. While I’m confident that integration will exist sometime in the near future, in the meantime I’ve been sending signups for free sample chapters and other lead magnets to MailChimp and then using Zapier to send the data to ConvertKit. It works well, but I certainly would prefer a direct integration. If you want to use Instapage and don’t want to mess with Zapier, you can always embed a ConvertKit form directly onto your Instapage landing page with the form HTML. It’s a quick and easy solution! After a successful launch, it’s time to work toward automating your entire sales process. This is an advanced concept and we can only touch on the basics in this article, but the idea is to attract potential customers by giving away valuable content and then leading those potential customers down a path to eventually purchasing your product. This process happens both on-site and through email marketing. Direct readers from your blog to landing pages that offer a specific solution to a specific problem that relates to your product. 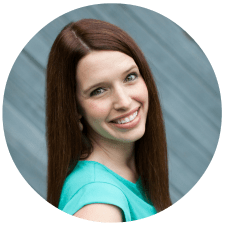 For example, Abby and I offer a free 5 day Build Your Launch List email course that touches on one aspect of the eBook writing, launching, and profiting process. We’re giving something away for free to people who would most likely also be interested in purchasing a course on eBook and product launching. Make sense? Add links, graphics, and mentions of your product lead magnet in relevant posts and articles on your blog. When relevant, don’t forget to email your current list and direct them to your new lead magnet landing page. This will help you start to segment your list and understand who is and who isn’t interested in your product. Step one should be set up a month or two before your actual launch and will continue long after your launch. Once a reader signs up for your product-related lead magnet, they are automatically registered to receive a series of educational emails that show the type of value you can provide and your teaching style. It can be a series of 5, 7, or 10+ emails. Your main goal is to teach and help, but these emails also give you the opportunity to mention your eBook or paid product. This is an extremely basic overview of marketing automation, but over time you’ll discover that it’s very possible to predict the number of sales you’ll make in a given week by how many people are working their way through your email automation series or “funnel.” The more people you can add to the top of the funnel, the more people you’ll convert into customers. The key tools for setting up marketing automation funnels is a landing page creator (like Instapage) and an email marketing provider. If you try and implement increasingly complex email courses and marketing funnels with basic email marketing services like MailChimp and MadMimi, you will drive yourself crazy. Ideally, you need a solution like ConvertKit. In my opinion it’s the perfect balance of automation features and an easy to use interface. I see many people make the mistake of ignoring marketing altogether starting a week or two after launch. It’s really a shame because if you start to implement better and better strategies to put your sales on autopilot, you can actually see sales improve with time instead of decline. Abby and I have seen this happen with our eBook Building a Framework. We’ve worked hard to find news ways of adding people to the top of the marketing automation funnel, and it has paid off in consistent and increasing sales many months after launch. Whew! As usual, this post became much longer than we thought it would! And really, we’re just scratching the surface of all of the strategies and tools we use to launch a profitable eBook. Though it does take work, launching your own eBook is one of the best things you can do to establish your expertise and take your blog to the next level.Click To Tweet And once your sales are set on autopilot, you’ll be selling products while you spend time with your kids, take a vacation, or go to sleep! Your eBook will be working for you even when you’re not, and that is pretty powerful stuff. Are you ready to get out there and write that eBook? Get to it!